Jonathan Frakes: Man is on a quest to develop machines that read each other's thoughts. There have already been key breakthroughs, but how close are we to actual mind control? John Rennie, Editor-in-Chief, Scientific American: Is it possible that hackers of the future could somehow manage to peak inside our own heads? Yes! Jonathan Frakes: We'll uncover a machine that could soon read the mind of a terrorist, before he attacks. A man who makes a telephone call, just by thinking about it. People who say their thoughts are already being hacked by an outside force. Nick Rope, British Ministry of Defense, (Ret. ): One possible strand of mind control would be a sort of thought theft. Jonathan Frakes: This technology can empower the mind to do remarkable things. [Computer generated image of a paralyzed person with technology that generates a speaking voice for him that says, "Come here, I want to see you."]. Jonathan Frakes: Or reprogram us to do things against our will. [Image: experimental monkey held immobile, eating food from mechanical hand]. Col. John Alexander, US Army, (Ret. ): The barrier between science and science fiction has all but evaporated. and what it might mean in the future. Jonathan Frakes: Reading and controlling a person's mind is perhaps the one power we don't want anyone else to have. Imagine a world where you can read your boss' thoughts or glean the intentions of your worst enemy? Or, what about controlling a person's mind and turning them into a kind of 'Manchurian candidate'? It's a power ripped right from the pages of comic books. Perhaps the most famous character with this remarkable skill is Professor X, founder and leader of the X-Men. Using his power of telepathy he could read, control and influence people's minds at will. Hollywood had another take on mind control. The 1962 film, THE MANCHURIAN CANDIDATE, raised the specter of a remote controlled soldier who is brainwashed by his communist captors during the Korean War. After returning home, he is an unwitting assassin, programmed to kill a US presidential candidate. It's a chilling plot, and one that seems virtually impossible. Can we really take control of this mysterious wrinkled lump of jelly, in our skull, we call a brain? Jonathan Frakes: THAT'S IMPOSSIBLE has assembled a To Do list. 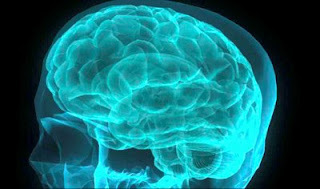 One: crack the code on how the brain processes information. Two: develop the technology to tap into, even steal thoughts. Three: perfect the means to remote control another person's actions. Jonathan Frakes: Right now, in secret and public, scientists are working on the important first step to reading the mind. But, how? The brain's complexity dwarfs that of any existing computer. There are approximately one hundred billion nerve cells, or neurons, in the human brain. Almost as numerous as the stars in the Milky Way. Each of these cells has a negative electrical charge inside the cell and a positive charge along the outside of the cell membrane. In essence, creating a tiny electric battery. Think of it as the brain's software, the world's most sophisticated search engine. John Rennie, Editor-in-Chief, Scientific American: Inside our heads the nerve cells all are engaged in a kind of telephone-like conversation. One speaking to the next, speaking to the next. And as the information is going through, each neuron is listening to all of its neighbors, giving rise to more and more complicated signal processing inside our brains. Jonathan Frakes: But the first critical step to cracking the code of how the brain processes information is being able to listen in to these millions of telephone-like conversations all taking place at once. Believe it or not, as information passes through the brain, the electrical impulses between neurons can be heard. This is the actual sound of a brain neuron firing. So in a way, we can literally hear thoughts. But, how do we translate those sounds so that we know what a person's thinking? Jonathan Frakes: At Brown University they are working with tiny computer chips that can be implanted into the brain to transmit neuron impulses to computers for mind reading interpretation. It's like connecting your iPod to a computer and downloading music. Scientists can now connect your brain to a computer. Their goal is to help the mentally impaired. Dr. John Donahue, Director of the Institute for Brain Science, Brown University: So, this is the next generation sensor system. Jonathan Frakes: Dr. John Donahue is Director of the Institute for Brain Science at Brown University. He's developed a remarkable piece of technology that can hardwire our brain to a computer. Dr. John Donahue, Director of the Institute for Brain Science, Brown University: It consists of the same electrode array, the baby aspirin-sized 100-electrode array, that goes inside just the surface of the brain. Jonathan Frakes: This tiny chip monitors 100 different neurons as they fire. The firing pattern is displayed on this grid. Dr. John Donahue, Director of the Institute for Brain Science, Brown University: These spikes, these electrical impulses that come up. We know that a language of the brain, a rapid communication system for the brain. Jonathan Frakes: What if there was a machine that could crack this code and interpret what these spikes mean? There is, it's called Brain Gate, and it was developed by Dr. Donahue. The way it works is that the tiny chip he's holding in his hand can be implanted in a person's brain. The chip picks up electrical impulses, which specially designed software then interprets as actions a person wants to perform. Essentially, the chip can read a person's thoughts, much like a computer can pick up a voice and interpret what it is saying. In one of the rare times ever tested on TV, Dr. Donahue has set up an experiment to demonstrate the remarkable ability of Brain Gate. He places the chip on his scalp and takes a seat in front of a computer that's been loaded with Brain Gate software. An arm, simulating Dr. Donahue's arm, appears on the screen. Also appearing is a ball. The challenge? Using only his thoughts, Dr. Donahue will attempt to control the arm to reach for the arm and move it. Jonathan Frakes: These are real-time images of the electrical impulses firing inside Dr. Donahue's brain as the chip listens in on his thoughts. His mind is asking the arm to move. After a few moments, the arm obeys. It slowly glides across the screen, reaches for the ball, and gently moves it. Amazingly, Dr. Donahue has moved the arm simply by willing it. Dr. Donahue is looking to a day when the impaired will be able to play the piano without actually touching it, or type on a computer without using their hands. 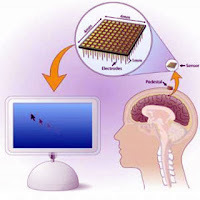 Embed a chip in the brain and one in the machine and it can all be done wirelessly. Dr. John Donahue, Director of the Institute for Brain Science, Brown University: Our goal is some day to try to replicate all of the functions that you could ordinarily perform, like playing the piano - moving your fingers - by taking the signals from the brain and running them to the outside world, or through signal processors that are in fact models of the nervous system. Of course, if we do that that means that we actually understand how the nervous system works. Jonathan Frakes: Once this technology is perfected, will reading brain waves be as common as picking up a wireless computer connection? Will we be able to tap a person's thoughts at will? We are on a path to creating a world where man can control machine through thoughts alone. But if we can control machine, can machine also control us? Could we all become robo-humans that are controlled by implants that scan our brains and enslave our thoughts? Is this a world we want? Because it's coming true. Jonathan Frakes: Researchers at the University of Pittsburgh are probing the way the firing of neurons works together to create a coherent language of the brain. Understanding this mysterious language is a crucial step in not only developing machines that respond to our thoughts, but also machines that can control our mind. Jonathan Frakes: The team has devised an experiment to test the mind control technology they're developing, which could one day allow our thoughts to control robotic limbs. It's an experiment that takes Dr. Donahue’s research time one step further. They have implanted a similar chip into the brain of a monkey. Out of its reach is a 30-LB mechanical arm, about three times the monkey's weight. The only thing connecting the two is the implant in the monkey's brain. The monkey will be offered food. The challenge: using only its thoughts can the monkey control the mechanical arm to pick up the food? Andrew Schwartz, Unidentified University of Pittsburgh: So, what we're doing is we're recording activity from the monkey's brain. We're taking those signals and sending them to a computer in a different room. The computer is interpreting those signals and generating commands to this robot arm to move it. And what the monkey has to do is learn to modulate his neural activity to make the robot arm move the way he wants it to move. And in this case, he wants it to move to this marshmallow we're putting out there. He's operating the motion of the arm, enclosing the gripper on the marshmallow, and bringing it back to his head and his mouth, and he opens up the gripper to he eat it. Jonathan Frakes: In the same way that Dr. Donahue used the onscreen hand to move the small ball, the monkey shows the power of the mind to control an object at will. But perhaps just as astounding, is that the monkey thinks the mechanical arm is his own. 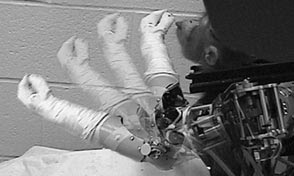 Dr. John Donahue: So what you see is the monkey is licking the [mechanical] hand and the reason the monkey's licking the hand is because there is some marshmallow residue from a previous trial still on the hand. So the monkey's decided instead of going for the new marshmellow that he'd rather just lick the hand right there. And it's much like when a child is licking his own hand if he has some piece of candy on it. And we consider this to be a sign of embodiment: where the animal is so comfortable with the devise that it might considered to be part of its own body. Jonathan Frakes: Once the line between mind and machine disappears. We can imagine future applications. John Rennie, Editor-in-Chief, Scientific American: Imagine some kind of super soldier in the future. They might be linked to other soldiers or to their headquarters in some way, so that they would almost be telepathically able to follow commands. It would be fantastic if, some day, we can interface with machines directly, so that we didn't have to look at screens. We could, basically, surf the internet by just plugging something into the back of our heads. Is it possible that hackers of the future could somehow manage to peak inside our own heads and take the secrets out of those? Do we need to create some kind of mental firewall to stop other people from breaking inside our skulls? out; we may not even need a chip. One company has developed a new portable technology that can intercept your thoughts without surgical implants. 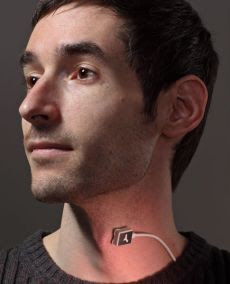 Michael Callahan, Co-Founder, Ambient Corp.: The Audeo is a small sensor that rests on the surface of the skin above the vocal cords, and it captures the activity that's the instruction signal that the brain sends to the vocal cords, that you do normally, in order to speak. But in the case of The Audeo, the sensor is so sensitive that it doesn't require the person to actually speak in order to produce speech. Jonathan Frakes: Callahan designed a sensor that can read our brain signals. How? The brain is the master control center of speech. When we communicate the brain tells the mouth what to say. So, speech is essentially thoughts sent to our vocal cords via nerve signals that are then converted to words. Since The Audeo is designed for people who've lost their ability to speak, it's worn around the neck and placed on the vocal cords where nerve endings emit signals associated with speech. So, for instance, when you think about saying, "orange," the brain sends a message to the larynx. Even though the larynx might be missing or damaged, The Audeo picks up that nerve pulse and a tiny computer translates that thought into the word, "orange". Nothing has to be implanted. The sensor merely has to be on the surface of the skin near the nerves. It's a huge breakthrough. Jonathan Frakes: The Audeo's remarkable ability to read thoughts has far reaching implications. For a paralysis victim it means telling their wheelchair where to go without ever uttering a sound. Callahan's assistant demonstrates. With the devise strapped over his larynx and routed through a computer linked to the [wheelchair’s] motor, he wills his wheelchair to move with just the electrical impulses from his brain. Michael Callahan, Co-Founder, Ambient Corp.: And the way that this application works is The Audeo's devise is on Ethan's neck here. And it captures the activity that his brain sends to his vocal cords. When he sends commands or words like, "Foreword", "Backwards", "Stop," "Left," or "Right," and those get translated by the computer, and the computer matches those to directional commands that the wheelchair can interpret similar to the way a normal joystick would work, except that this doesn't require Ethan to actually physically move in order to operate it. Jonathan Frakes: Just as amazing, is that The Audeo can give a paralyzed person who's been robbed of speech, the power to once again talk. Rather than spelling out words letter by letter, the user thinks the phonetic sounds, which make up language. To demonstrate The Audeo's ability to tap into our thoughts, Callahan has set up an experiment, which is so radical it verges on the impossible. He will challenge Ethan to make a voiceless phone call and communicate by thought alone. If it's successful, Society has entered a Brave New World. Jonathan Frakes: And later, has the Air Force developed a top secret weapon that beams voices into your head and controls your mind? Jonathan Frakes: Michael Callahan has invented a device that can eaves drop on our thoughts. And to demonstrate its remarkable ability he's arranged to have his assistant make a phone call using just his mind. Phrases have been programmed into a laptop computer. Ethan's thoughts alone will first trigger the dialing of a speed dial number, and then select from the phrases to make a phone call without using his vocal cords. Michael Callahan, Co-Founder, Ambient Corp.: Hello? Ethan: Hi Michael, how are you? Michael Callahan: I'm fine, how are you doing? Ethan: Do you remember Alexander Graham Bell's first phone call? Michael Callahan: Yeah, I do. Ethan: Michael, come here. I want to see you. Michael Callahan: This is only the beginning of some things that are capable using this type of technology. We often get asked, if The Audeo picks up thinking or my thoughts. And the answer is, "No, definitely not." You may be thinking right now, things like: that you have to go to the bank today, or you're hungry. But, unless you have an actual desire to communicate those things, then there's no activity for us to pick up. Jonathan Frakes: In other words it picks up the thoughts on the tip of your tongue, not in the back of your mind, yet. But, what if there was a machine that was able to take our thoughts against our will? Nick Rope, British Ministry of Defense, (Ret. ): One possible strand of mind control would be a sort of 'thought theft'. Actually reading people's minds and extracting the information. Now, clearly this would be of huge interest and use to the intelligence agencies. No secret could be kept, if you could read minds. Jonathan Frakes: Science may be advancing towards this goal. One breakthrough uses an advanced form of MRI technology called a Functional MRI. Col. John Alexander, US Army, (Ret. ): a MRI, Magnetic Resonating Image, takes an image takes a static picture. What the functional MRI does is allow you to take those pictures continuously and watch the brain in real time as its functioning. This allows you to see what they call 'Lighting Up', what areas of the brain are activated as the individual is thinking about certain specific things. Jonathan Frakes: We know that words and images trigger specific neural reactions. When you hear the word, "cat", areas in your brain light up as your mind connects the word with the concept of "cat"
Jonathan Frakes: Scientists are also investigating whether specific areas of the mind become active when the subject is consciously lying. John Rennie, Editor-in-Chief, Scientific American: Imagine what when happen when in courts of law if every time people were giving testimony their brains were being monitored to determine whether or not they were telling the truth. Jonathan Frakes: Right now, scanning brain activity requires a compliant subject. You can't very well hide the MRI machine. Col. John Alexander, US Army, (Ret. ): Remember, to do that kind of thing you've got to, what I call, put your head in the cooker. In other words: you have to know MRI machine is huge, big, expensive. And people have got to be very cooperative and put their heads inside there. Jonathan Frakes: But what if you could tell if a person was lying with technology that is more subtle? Jonathan Frakes: A report recently leaked out that the government is secretly developing just such a system as part of the ongoing war on terrorism. It's called 'SSRM Tek'. John Rennie, Editor-in-Chief, Scientific American: Amazingly enough, new technologies may make it possible for the authorities to actually start to read people's minds and look for evidence of whether they are planning some sort of terrorist actions. One technology that is being developed with an eye towards doing that is called "SSRM Tek," Semantic Stimuli Reaction Measurement Technology. It's a set of techniques that was developed by a late Russian scientist named Igor Smirnoff. Even after Smirnoff died, some authorities in the West were interested in trying to develop SSRM Tek because Smirnoff promised that his techniques were better than a polygraph for being able to help identify what people's true thoughts were. For example, whether they were terrorist collaborators or, whether they were planning attacks on the Public. Jonathan Frakes: How could a machine distinguish a terrorist from a vacationing traveler? By testing a subject's involuntary response to subliminal messages. The idea is that every traveler will be tested before being cleared to board a plane. The way it works is that while waiting in the screening line, a traveler will step inside a small both and be told to stare at a video screen. Seemingly innocent images will begin to appear, but embedded in those images are subliminal words like: Osama Bin Laden, World Trade Center, Plastic Bomb, Explosion. The traveler will press a button in response to the words without consciously registering what he or she is looking at. John Rennie, Editor-in-Chief, Scientific American: The idea is that the person's unconscious does recognize and process those words, and that they will affect, in a way that the subject doesn't realize, the way the responses that he or she may then give. According to Smirnoff, this was a way for being able to identify what that person really thought. words will differ from the innocent person's. Col. John Alexander, US Army, (Ret. ): The technologies that are coming along are going to have huge implications in both law enforcement and military applications. Jonathan Frakes: But theoretically, the same technologies that protect us could also be used against us. John Rennie, Editor-in-Chief, Scientific American: One scary possibility that we would have to guard against: is it possible that hackers of the future could somehow manage to peek inside our heads? Jonathan Frakes: There may be reason to be concerned. Cheryl Welsch: I'm Cheryl Welsch. I'm a human rights activist and a mind control victim. Jonathan Frakes: Starting in 1960s people began claiming they were victims of mind control. As recently as 2007, prestigious publications like the Washington Post investigated claims by a growing number of victims that the government is trying to control their minds. Cheryl is one of them. Cheryl believes she became a Targeted Individual, a T.I., in the 1980s when she walked into an Army recruiting office to see if she qualified for college tuition. She decided not to enlist and that's when, she claims, the strange mind control phenomena began. Cheryl Welsch: Basically: the hearing of the voices, the manipulation of all of your electrical equipment, the clicks on the phone, the reading your thoughts, the reading your mind, seeing what you're seeing. Jonathan Frakes: Could Cheryl's claims and those of other T.I.s be true? And if so, how would the government be controlling their minds? Many of them, including Cheryl, point to electromagnetic and microwave mind control weapons. Cheryl Welsch: Everybody agrees your mind is an electro-chemical system. It works on electric signals, magnetic signals. And signals from the outside, they know this can mimic, disrupt or interfere with signals in the body. Jonathan Frakes: John Alexander is a retired US Army colonel and Pentagon advisor on nonlethal weapons. His 1980 article, THE NEW MENTAL BATTLEFIELD published in the Army journal, Military Review, is cited by Cheryl and other T.I. victims as proof that the government is carrying out mind control experiments. However, he denies any government wrong doing. Col. John Alexander, US Army, (Ret. ): I'm very familiar with the conspiracy theories on mind control and what they state. The biggest question I'd ask them is, why them? Jonathan Frakes: Why them, indeed? Religious leaders and political leaders have been trying to enslave the minds of normal, everyday people since the dawn of man, to great success. Jonathan Frakes: Over the centuries even the most rudimentary types of mind control have been used to cunning perfection by religious, fascist and cult leaders. Dr. Jonibeth Whitney, clinical psychiatrist: Essentially, mind control is the deceptive, unethical and systematic use of techniques for persuasion and control. I'm Dr. Jonibeth Whitney, a clinical psychiatrist in private practice and, also a cult awareness activist. Jonathan Frakes: One of the most pervasive forms of mind control is brainwashing, also known as thought reform, or re-education. It's a technique most often associated with modern day cults. 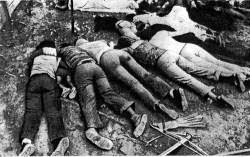 And, perhaps the most chilling example is that of the Reverend Jim Jones who, in 1978, led more than nine hundred followers to commit mass suicide at his Jonestown establishment in Guyana, South America. 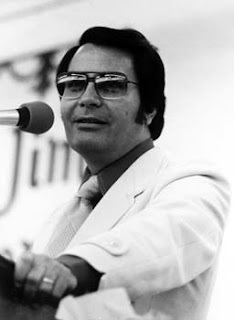 Dr. Jonibeth Whitney, clinical psychiatrist: How Jim Jones went from being kind of a popular preacher to this monstrous cult leader was really a journey. Certainly, when people joined the group, they didn't join a group that was going to isolate them from their former lives in a jungle, and require them to kill themselves. Now that's not what people signed up for. Jonathan Frakes: What they signed up for was to be a member of the Peoples Temple, founded in 1955 in Indianapolis, Indiana under the pretext of helping the poor and fostering human rights. Dr. Jonibeth Whitney, clinical psychiatrist: So at the beginning of the indoctrination process the people are making choices about affiliating with a group without really know that much about it. As they travel down that road, they get more and more invested in the group. They formed relationships with people. They severed relationships with people outside of the group. Jonathan Frakes: As his congregation grew, Reverend Jones increased the discipline and dedication required of his members. He assumed a Messiah-like presence. His sermons forecasted nuclear holocaust and an apocalyptic destruction of the world, but he promised his followers they would be saved, and many believed him. He used fear to win their loyalty and trust, a crucial ploy in gaining control of one's mind. Jones built on that fear, demanding perfection from his followers. Dr. Jonibeth Whitney, clinical psychiatrist: The beauty of this from a mind control standpoint is that nobody can ever be perfect. Everybody is susceptible then to punishment. These are very common techniques, really: reward and punishment, inclusion and exclusion, approval and disapproval. Jonathan Frakes: Jones convinced his followers to turn over all their worldly processions. At this point, he owned their trust and their minds. He convinced parents to relinquish custody of their kids, and destroyed the bonds that linked husband and wife by forcing them to engage in extra-marital relationships, oftentimes with Jones himself. He not only isolated his followers from one another, but also from the outside world. The cult moved to Guyana in 1977 and on November 18, 1978, Jones gathered his followers and handed out poison. They were so brainwashed or terrified, that they carried out the largest mass suicide ever. the end was this environment of total control. Jonathan Frakes: It's this environment of total control that makes brainwashing so terrifying and so effective. The term, brainwashing, itself, was first used in 1950 during the Korean War. Something sinister was happening to American soldiers taken prisoner during the war and housed in Chinese prisons. Seventy percent of the nearly seven thousand prisoners had either confessed to committing war crimes or signed petitions calling for an end to the American war effort in Asia. Alarmed, CIA Director Allen Dullus suspected the Chinese military was using some form of mind control and he wanted America to have superior capabilities. So, in 1953 he turned to Dr. Harold Wolf, a world famous neurologist, to launch an investigation of alleged communist brainwashing techniques for the CIA. Jonathan Frakes: Wolf's secret report to CIA Director Cullus became the definitive US government word on brainwashing. 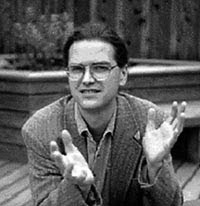 John Rennie, Editor-in-Chief, Scientific American: Maybe it's not too surprising that for decades people have been fearing that governments or other agencies would be trying to read or control their minds because well, let's face it, in fact there have always been exactly those kinds of interests in some corners of the government. Jonathan Frakes: Wolf interviewed hundreds of former POWs and Chinese prison interrogators. He discovered that the Communist methods rested on a few key elements: putting a prisoner in solitary confinement, depriving them of sleep,and subjecting them to grueling interrogation sessions that would go on for days. The CIA had cracked the code of the Chinese brainwashing technique, but kept the truth from the American public. In 1953 CIA Director Dullus released a statement on Communist brainwashing. Quote, "We in the West are somewhat handicapped in getting all the details. There are few survivors and we have no human guinea pigs to try these extraordinary techniques". But they were about to find some unwilling subjects. John Rennie, Editor-in-Chief, Scientific American: Starting in 1950s and running up through at least the 1970s the CIA was involved in a variety of different experiments in which it was trying to alter the minds of subjects without their knowing it. They used drugs, they used a variety of other behavioral modification techniques, all aimed at trying to see just what they could do to change people's memories; whether they could cause people to forget things that had happened to them. Nick Rope, British Ministry of Defense, (Ret. ): MKULTRA was a government program to see whether, through various techniques, people could be made to do things which they normally wouldn't do. MKULTRA: the M is Mind, K is Control, and ULTRA is breaking the code. So, this is basically breaking the code of the mind, unlocking the secrets of the mind, and basically controlling the mind. on the order of CIA Director Allen Dullus. Early efforts focused on a newly discovered drug, Lysergic Acid Diethylamide, L.S.D. Jonathan Frakes: Provoked by the Chinese and Korean experiments into mind control, starting in 1953 the CIA began carrying out covert mind control experiments of its own unwilling subjects. Drugs were the center of many of these experiments. LSD was administered to military personnel, mentally ill patients, even members of the general public, usually without the subject's knowledge or consent. Eventually, the testing involved a number of other drugs. At least two known deaths were linked to these secret mind control experiments. Jonathan Frakes: The CIA also found unknowing human guinea pigs in Canada, where they recruited and secretly funded the work of Dr. D. Ewen Cameron, a world renowned psychiatrist working at Allen Memorial Institute. From 1957 to 1964 he carried out what he called "mind depatterning" experiments. of personality, deconstruct it and kind of lay it there, and then maybe rebuild it. his mind control theories Dr. Cameron used the following technique. Subjects would be put into a deep sleep and only be awakened long enough to undergo daily electro-shock therapy treatments. One hundred and fifty volts of electricity pulsing through a patient's brain! This went on sometimes for a month. Jonathan Frakes: More than eighty universities and institutions took part in MKULTRA's project. Nick Rope, British Ministry of Defense, (Ret. ): MKULTRA used people in the mainstream academic community. Psychiatrists who willing signed up because they thought they were doing the best thing for their country. This was of course, in the dark days of the Cold War. Jonathan Frakes: Rumors of theses secret mind control experiments began to surface in the late 60s and early 70s. The US Congress opened an investigation. In 1973 CIA director, Richard Helms, abruptly ordered all MKULTRA files sealed and destroyed, making a full investigation of this mind control program virtually impossible. But what Helm didn't know was that some boxes were stored in a warehouse and were not destroyed. They exposed that between 1940 and 1974 the Dept. of Defense and other national security agencies conspired to subject thousands of Americans and Canadians to dangerous mind control experiments. During the thirty five years since these experiments ended science has made giant leaps away from these primitive attempts at mind control, and is making science fiction, science fact. Even the government has been secretly developing mind control technology. Jonathan Frakes: According to this article in the Washington Post magazine, in 1994 the Air Force research laboratory carried out experiments where scientists used technology to transmit phrases into the heads of human subjects. How? By burying subliminal messages in microwaves and beaming them into a person's head. It seems like a weapon torn from the pages of a comic. The Air Force denies it's working on it, but Patent No. 6,470,214 issued on October 22, 2002 says otherwise. The patent is titled, "Method and device for implementing the radio frequency hearing effect;" Patent holder, the US Air Force. Documents surrounding the development of this secret weapon are classified, but what is known is that microwaves carry energy. When a microwave pulse is absorbed by our body, this energy is converted to heat, causing the tissues to expand slightly and then contract when it cools. If the microwave were aimed at our head, this expansion and contraction could be heard as clicking sounds that could be encoded into words. they were going mad. And it quite clearly talks about the military applications of this technology. Jonathan Frakes: Is Patent No. 6,470,214 a top secret mind control weapon? According to this passage in the patent documents, this devise can beam energy waves that can be quote, "converted to nerve signals which are sent to the brain, thereby enabling intelligible speech to be perceived by the brain." The result? The person hears things that aren't there, much like the voices reportedly heard by Targeted Individuals. If this mind control weapon exists could this technology be deployed on a mass scale? There is speculation that the government already has. Nick Rope, British Ministry of Defense, (Ret. ): He, who controls the thoughts of the people, controls the world. Ministry of Defense, (Ret. ): Historically speaking, warfare has been about territory. The future, it may be the battle for the mind. Jonathan Frakes: Is that battle to control minds already being openly waged on a mass scale? Disturbing questions have been raised about a US government program known as HAARP. Dr. Nick Begich, author, Angels Don't Play this HAARP: HAARP is the High Frequency Active Auroral Research Project developed initially by the Navy and Air Force back in the 1980s. Essentially, it was to modify or alter the ionosphere, a layer that begins about 30 miles above the earth. Jonathan Frakes: HAARP is a bank of one hundred eighty antennas, each as tall as a seven-story building, erected near Dakona, Alaska. The antennas emit extremely low frequency waves, also known as ELF waves into the upper atmosphere, which bounce back to earth and allegedly provide advanced data for studying weather patterns. Researchers like Nick Begich, and even scientists, speculate HAARP is being used as a weapon against our enemies to create severe storms, hurricanes, even earthquakes, all part of a covert weather warfare program. But HAARP has also been linked to mind control. Dr. Nick Rope, British Ministry of Defense, (Ret. 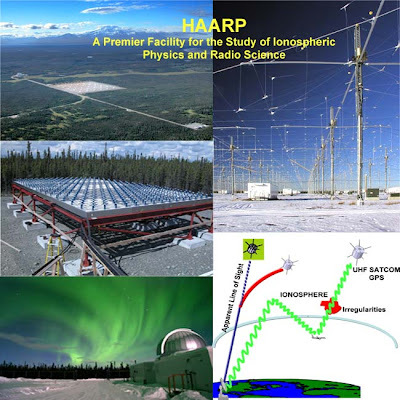 ): There are many people who believe that systems such as HARRP, which the US government says is about researching the ionosphere and the effects that it has on communication systems. But, a lot of people don't believe that, they think that's a cover story and that what this is really all about is behavior modification and mind control. Dr. Nick Begich, author, Angels Don't Play this HAARP: You have a signal that will hit the ionosphere and begin to pulse the energy into the ionosphere. And the ionosphere, this layer, will begin to pulse back, so it changes it from a direct current to an alternating current, sending back to the earth in the ELF range, extremely low frequency range of 1 to 20 Hertz. Those same frequencies, 1 to 20 Hertz happen to correlate with predominate brain frequencies in human beings. Jonathan Frakes: There is scientific data to back up claims that ELF waves can affect human behavior. During the 1960s and 1970s, Dr. Andrea Puharich studied the impact ELF waves have on the brain. What he discovered was shocking. Col. John Alexander, US Army, (Ret. ): We can do things in our brain. We know that the capability is there, the information necessary to make these big leaps, in and of themselves. Can I use this negatively? Can I use this to harm people? Absolutely. Jonathan Frakes: President Lyndon B. Johnson had on his board of science advisors geophysicist, Gordon J.F. MacDonald, who wrote, that by using accurately timed, artificially excited electronic strokes, quote "one could develop a system that would seriously impair the brain performance of very large populations in selected regions over an extended period. Dr. Nick Begich, author, Angels Don't Play this HAARP: If you go back to the work of Gordon J.F. MacDonald in 1970s, you'll find that he was talking about being able to modulate a signal into the ionosphere that would be able to return a signal that the human body would couple with, would lock onto and begin to follow in a manner that would change the emotional state of people over large a geographic area. Jonathan Frakes: Does HAARP fulfill MacDonald’s prophesy? Has the day of mass mind control arrived? Nick Rope, British Ministry of Defense, (Ret. ): For those people who believe that harp is about mind control, the implications are immense. This isn't just about influencing the behavior of one or two individuals. If it can be done on such a scale, you could effectively control the minds of entire populations. Nick Rope, British Ministry of Defense, (Ret. ): Imagine controlling people's behavior, so that you could stop them from being aggressive? There's a sort of utopian vision perhaps, of world peace. And on the face of it, that sounds like a good thing. But, if that's not our natural behavior, I think we stop being human if we're subjected to this. We become little more than lab rats running around a wheel. Col. John Alexander, US Army, (Ret. ): The barrier between science and science fiction is all but evaporated. Technology is neutral. In the end it, is the application, it is the intent of the user that determines whether technology is used for good or evil. Nick Rope, British Ministry of Defense, (Ret. ): I think the future is a place where mind control will exist. I can only hope that it will be in the hands of the right people, and that it will be regulated so tightly that it can't be abused.